After what feels like a very long wait, AMD's new Volcanic Islands graphics cards are finally here... sort of. 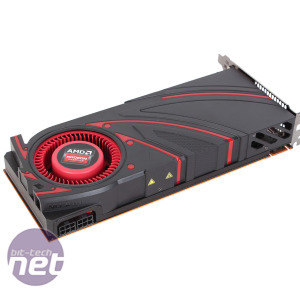 Although AMD unveiled a full lineup of Radeon R9 and R7 cards 10 days ago, the top of the range Radeon R9 290X and R9 290 are sadly yet to arrive, and indeed we can't even give you details of them yet. But the rest of the range is all present, meaning the Radeon R9 280X, R9 270X, R7 260X, R7 250X and R7 240, are all due to hit e-tailers on 11 October. 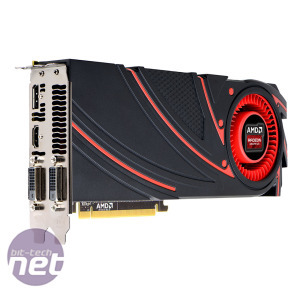 The short story is that the cards are mostly rebadged, retweaked and newly priced products from the existing (but soon to be discontinued) Radeon HD 7000 series. However, with TrueAudio and Mantle spicing things up, there is enough that's new here to be worthy of closer inspection. 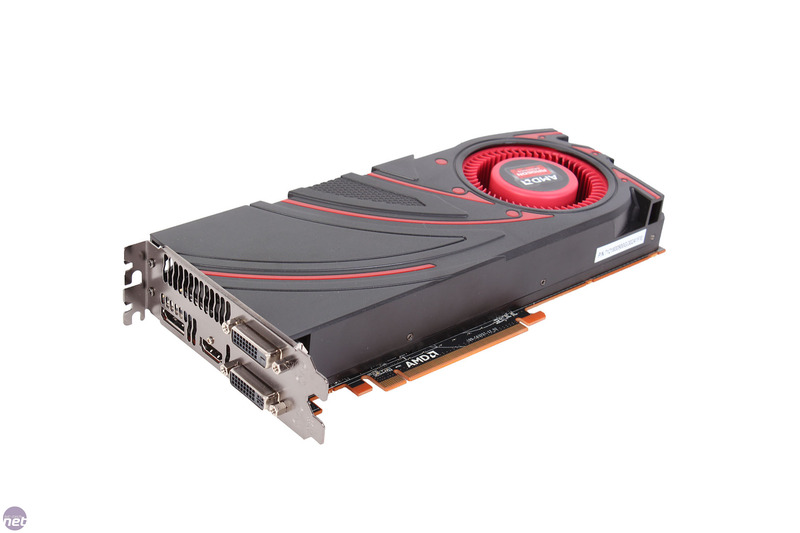 The cards we're looking at today are the Radeon R9 280X 3GB, R9 270X 2GB and R7 260X 2GB. The R9/R7 naming scheme is designed to differentiate between enthusiast and mainstream products respectively, with the former roughly meant to deliver the goods at 2,560 x 1,440 resolution and the latter at 1,920 x 1,080. Meanwhile the '2' denotes the generation (yup, we've skipped '1' and gone straight to '2'), and the '8' the specific position of the card, with the 'X' there for an extra measure of potency. We're not sure it really makes things any clearer but it's by no means the worst numbering system we've ever encountered. Annoyingly, only US pricing has been announced, so our GBP prices are merely guesstimates based on an exchange rate conversion plus 25 percent to cover import and VAT costs. We'll update this when UK prices are confirmed, but for now we can only go by the American MSRPs. AMD has advised us that any good deals currently available on the HD 7000 series will only last as long as stocks do, most likely just a few weeks. As for Never Settle, details are still sparse other than that it's set to continue one way or another. 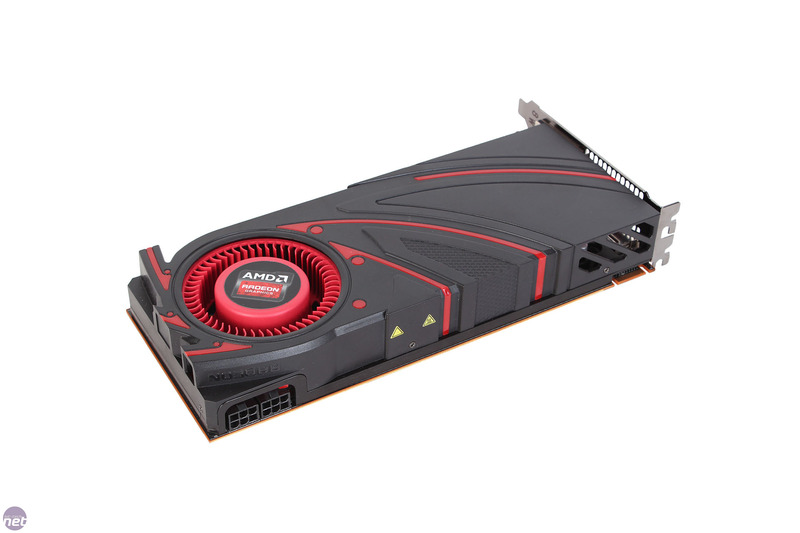 The Radeon R9 280X is essentially a Radeon HD 7970 GHz edition with a new name and new $299 price point, making its closest competition the Nvidia GeForce GTX 760 2GB. While the stock card is what's pictured and discussed, the one we've used is a pre-overclocked one from MSI, which we'll review separately soon. For testing purposes here, however, we've downclocked it to stock speeds, although we're unable to assess or provide results for thermals or overclocking due to the card's custom cooler. We'll look to provide results for a stock cooler-equipped card as soon as possible, if they come to market. 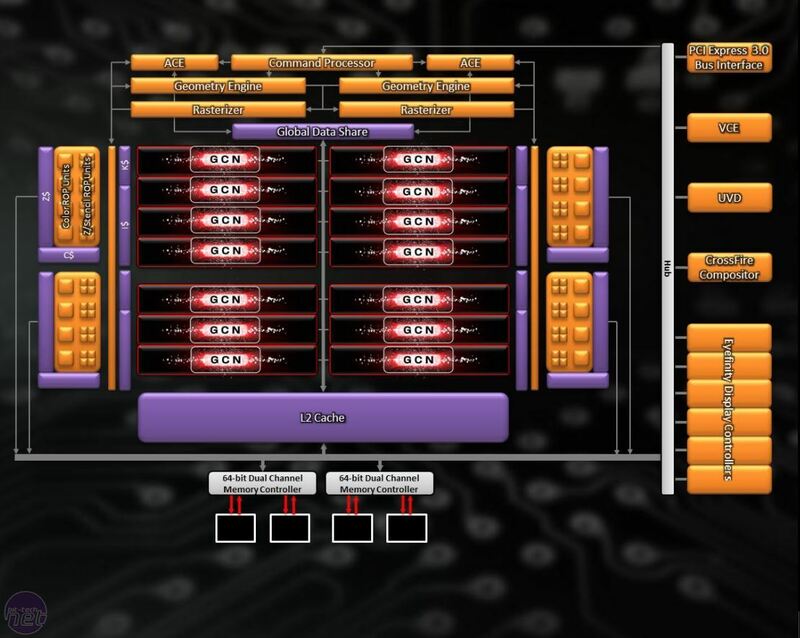 The 4.3 billion transistor, 28nm Tahiti GPU is discussed in more detail in the original HD 7970 3GB review, but with its 32 Compute Units, it sports 2,048 stream processors and 128 texture units. It also has a dual front end design along with eight render back-end units for a total of 32 ROPs. 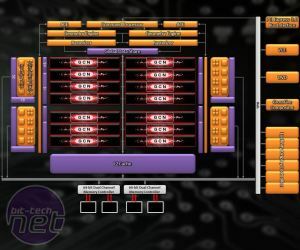 It features six 64-bit memory controllers connected to 3GB of GDDR5 and supports the latest APIs including DirectX 11.2, OpenGL 4.3 and AMD's own Mantle, more on which later. 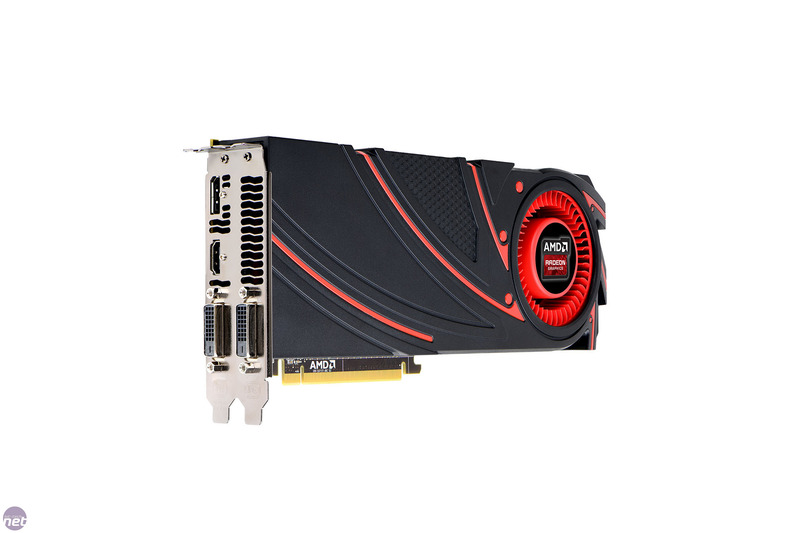 At stock speeds, the R9 280X 3GB will boost to a maximum of 1GHz, compared to 1.05GHz on the HD 7970 3GB GHz Edition, and the cards share a 1.5GHz (6GHz effective) memory clock and 288GB/sec total memory bandwidth. Therefore, rather oddly, it's actually a slightly worse card than that which it replaces (going by specs alone), though it also serves as a replacement for the HD 7950 3GB. The keen-eyed among you may have noticed that the card's DVI ports are digital only, and VGA support has indeed been dropped here. The card is powered by a 6-pin/8-pin combo. The next card down, the R9 270X, comes in two flavours; a $199 2GB one and a $229 4GB, and it's the former that we're testing. AMD positions this card against the GTX 660 2GB and says it's designed for gamers who want to crank the settings to full at 1080p. 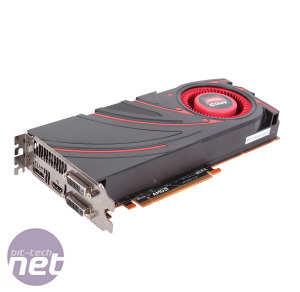 It utilises the Pitcairn GPU first seen in the Radeon HD 7870 2GB. This has the same front and back end design as the Tahiti one, but reduced stream processor and texture unit counts of 1,280 and 80 respectively. It also has just four 64-bit memory controllers and supports PCI-E 3.0 and the latest API standards. Compared to the HD 7870 2GB, the core clock is up slightly from 1GHz to 1.05GHz, while the memory has been given a much healthier 17 percent boost to 1.4GHz (5.6GHz effective) for a total memory bandwidth of 179.2GB/sec. The card is powered by two 6-pin connectors at the top of the 240mm PCB and also has a single CrossFire connection. 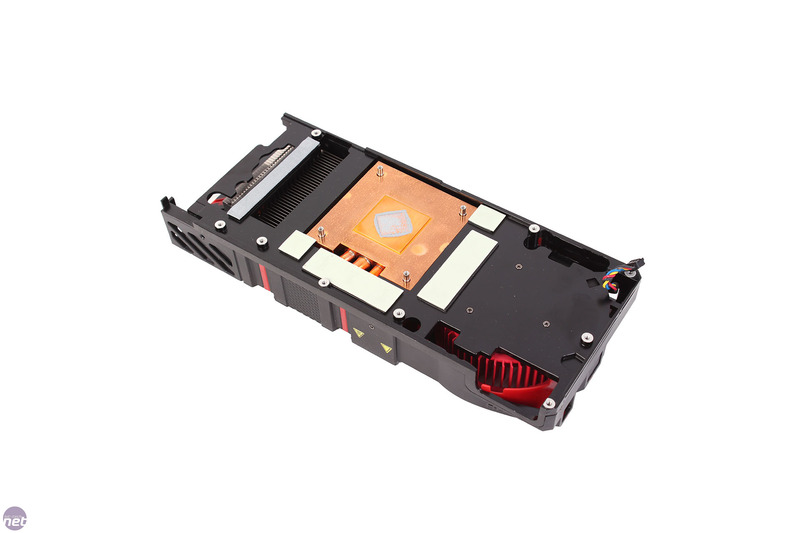 The eight memory chips and main VRMs are cooled by a metal plate attached with thermal pads, while the GPU is cooled by its own copper and aluminium heatsink with three heat pipes. 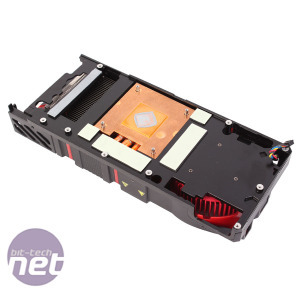 AMD's traditional red and black plastic shroud has an updated design, but still features a radial fan that exhausts everything through the back of the card. We were hoping the red grooves in the cooler's shroud served more than just an aesthetic purpose but sadly this isn't the case. Click to enlarge - The PCB and cooler of the R9 270X throw up few surprises. VGA support is maintained for this card and those below it, but otherwise the standard set of two DVI ports, DisplayPort and HDMI is intact. A feature unique to the R9 series cards is that you no longer have to use the DisplayPort output when using three monitors, opening up the possibility to those with older monitors that only feature DVI. However, users must have three monitors with identical timings for this to work, and it requires a reboot to activate as it's not hot-swap compatible.